Woody Allen has released a statement responding to claims of abuse by his adopted daughter Dylan Farrow. Farrow’s letter which was published in the New York Times on Saturday, detailed crimes of sexual abuse that her father had committed against her. Responses worldwide have been divided over the accusations, with some defending Allen by calling Farrow a liar and outwardly attacking her for coming forward. Allen’s publicist Leslee Dart released a statement that the director had found the open letter “untrue and disgraceful.” She also stated he is preparing to respond in full very soon. Allen stuck to his original claim that the allegations had been falsified by his former partner and mother to Dylan, Mia Farrow. Allen’s lawyer has also responded calling the renewed accusations vengeful and pointing the finger at Mia as the one to blame for Dylan’s distress. 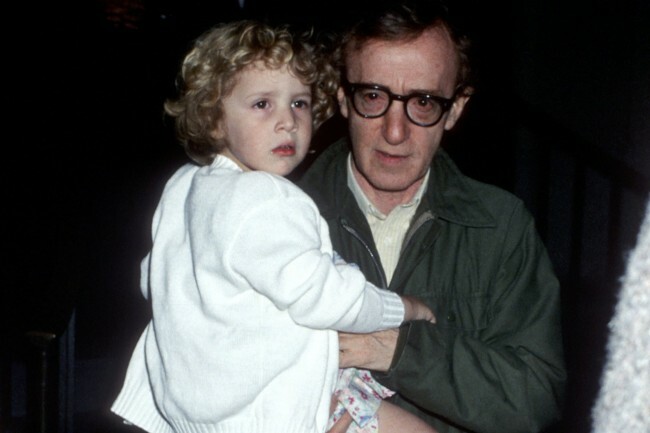 When Woody Allen appeared on 60 Minutes in 1992 to address the charges, he called the abuse a “complete non event.” He also stated that if he had wanted to become a child molester, he could have. He then directed the line of questioning away from Dylan Farrow’s accusations. His side stepping was in order to focus on Mia Farrow, painting her as crazy and unhinged. He claimed that she sent him a Valentine card with knives through the middle of a photo of the children. When the reporter asked him whether Mia was driven mad by the upsetting situation around his affair with her older adopted daughter Soon-Yi, he denied it. He claimed that his former partner threatened his life on numerous occasions, playing up his role as the victim in the situation. He backs up his opinion of Farrow’s mental unbalance saying that his new wife Soon-Yi would see Farrow’s actions as in character. When the reporter tried to get a straight answer out of him with regard to Dylan’s charges he answered only with the defense that he could not have done it at the time mentioned. This could be a possible lie, as Farrow named more than one event which he did not discuss and eye witnesses can place him in Connecticut at the stated time. Dylan Farrow calls on prominent Hollywood figures Cate Blanchett, Alec Baldwin, Diane Keaton and others in her letter. Response from these stars has been mixed. Blanchett made a diplomatic side step stating that she hoped the family would find “resolution and peace.” Baldwin was openly hostile to questions put to him over Twitter, stating that there was no place for him in the family’s situation. He has now deleted the tweets. Lena Dunham of Girls fame tweeted her support for Farrow, calling her “courageous.” Victim of sexual abuse by Roman Polanski, Sam Geimer, also showed her support, calling out for respect for Farrow. Frank S. Maco, the Connecticut State Attorney at the time of the allegations, said he had probable cause to charge Allen. He dropped the case, however, when he saw the toll it was taking on Dylan Farrow. He has since stated that he believes he made the right choice for Farrow, even though the statute of limitations has now expired. He hopes that the letter has helped her to find the peace that she needed. Dylan Farrow herself has been overwhelmed by the support she has received after she posted the letter. She has not yet responded to father Woody Allen’s claims that she is lying about the abuse.